Breakdowns are not only a great inconvenience, but they can be very distressing. That’s why it’s important that you receive fast, friendly breakdown assistance. Thanks to our towing directory you can instantly find a breakdown recovery service near you, no matter what size your vehicle is, you’ll find towing companies who can deal with cars, trucks and other vehicles. If you have been involved in an accident and your vehicle is stuck, severely damaged or immobilised, you may require emergency towing services. Just click on your nearest region in our towing directory to find a breakdown recovery service at any time of day or night. 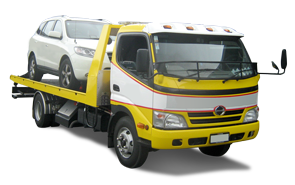 What types of tow trucks are used for breakdown recovery? Slide Deck Trucks (Flat Beds) are designed to transport vehicles that have broken down, been involved in an accident or experienced major damage. Vehicles are transported completely off the ground. They have good loading capacities through the angle of the deck and are usually fitted with a winch to load and unload vehicles. Cradle Trucks (Hook Trucks) tow vehicles by lifting two wheels off the ground and tow the vehicle behind the truck. Dolly wheels can be used to lift the other wheels off the ground. Note: Every tow truck has its specialised capabilities, please give as much information about the vehicle requiring a tow to be sure to get the right tow truck for the job. If a vehicle has been involved in an accident, it will require a slide deck, hydraulic winch or crane boom. Read more about accident and emergency towing. Towing.co.nz provides listings for car towing, truck towing, roadside assistance and machinery transport companies throughout New Zealand. to find a towing company ready to assist.